Over the last couple weeks we have started talking about Christian Education as well as some of the problems in our current way of doing things. In this weeks post I would like to delve into some of the things we can do to curve the problems around. Right at the start I want to be clear, that there is no such thing as a silver bullet in Christian or any education system for that matter, they all have their flaws. There have been problems in past systems, there will be problems in future systems. I should also point out that none of these ideas came out of thin air. I read books and watched what others were doing. Many of these are already being done. Inter-generational activities also help to get the parents involved with doing things with their children. It is not so important that the parents are perfect, but it is important that they learn and become more comfortable with sharing their faith to their children. The second thing that needs to be addressed is Sunday School. Now Sunday School is something that can be challenging to adjust in any regard. It is something that has been done for so long that to suggest any change can be met with a lot of resistance. I would suggest starting with simple things. Add some devotional books the students can take home and either share with the family, or the parents can read them to their children. Create times when the parents can join certain classes. Perhaps even put some studies online so that they can do some of the Sunday School lessons at home. The important aspect of all of this is that the students and parents begin to expand their faith life beyond the walls of church and into the realm of the home, into the realm of all of their life instead of just part. In the future I may make other suggestions and detail them out. These are simple things that can be done to really begin to help to address the issues at hand. In my last post we started talking about Christian Education. In a summary fashion, I began by identifying the topic. This week I would like to focus in on the problem, what is happening, why is it happening? If part of the problem is that we do not pay attention, then at the very least we can begin to look at these issues. The problem as a whole, is that children are leaving the church, they are leaving in droves, and while some return, many stay gone. According to Lifeway research approximately 70 percent of youth today will drop out of church, of those 35% will return eventually. Barna group has 59 percent that will leave permanently. No matter which statistic you look at, this is a problem. The going thought has always been that the dropout is occurring in college or high school. However according to Ken Ham and Britt Beemer in the book titled, Already Gone their studies have shown that things are even more disheartening. 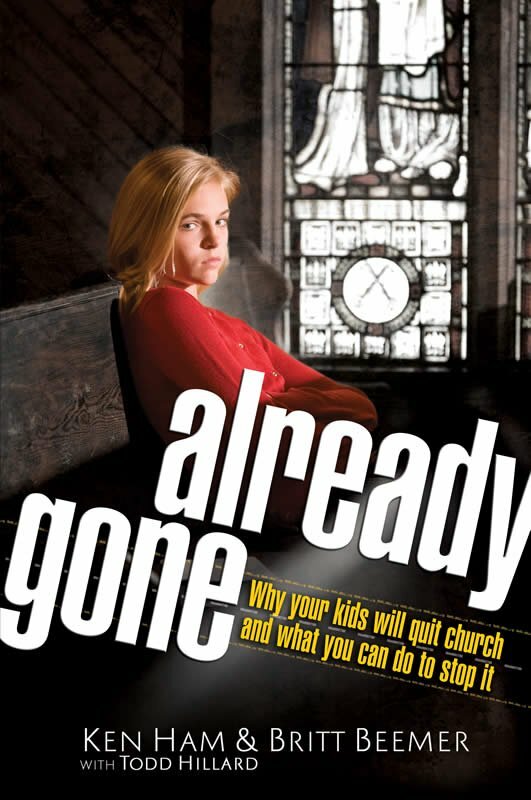 With over one thousand people surveyed it seems that most of our fallout is happening before high school even starts, with over 89 percent of those that will leave in a sense are, “already gone.” In fact only 11 percent of our youth drop church after high school, most of them have already decided to leave church before, but they continue to go through parental control. Knowing statistics is nice, but the question of why is not always answered by statistics. We know we have a problem, but why do we have this problem, why are youth leaving our church, why are youth abandoning the faith? It seems that the most consistent answer in the fray, is that parents have stopped teaching the Bible in the homes. Both books mentioned above make this as the major point of the statistics, showing other statistics to back their points. In the book Already Gone, Ham even brings in some of the statistics of the damage that Sunday School is doing. Is this really the problem? Is the problem Sunday School? Is the problem our Bible Classes? Having read these books and others, I think the problem is not one singular problem, but several spanning out for several years. For the sake of brevity, I will handle the two mentioned above. Sunday School: Sunday School as an educational program, is not necessarily the sole culprit, however, the use of Sunday School has led to some bad practices. All too often it is used by parents as a drop off babysitting program. At other times those teaching the classes themselves fail to study Scriptures beyond the age of the class they are teaching. The students learn through practices like these the the study itself is not that important. Parents: Tagging along with the discussion of Sunday School, parents often times see the religious education of the children to be the responsibility of the staff/teachers at church. The problem is that in this case students only get religious education one time a week, and the students also miss religious education from the people who matter most, their parents. Parents, while it may not seem like it, you are the most influential person in a child's life, if your faith is important to you, and you show it to them, it will be important to them as they grow up in the faith. However, how do you do it? Is there anything or anyone out there to help you? If in reading this you now would like help in your task, I would suggest talking to your pastor to start with. In the next post, I will outline a few of the things that I plan to do (and have been doing) to help to equip the parents and students for a lifetime of learning and growing in their faith.